If you're on a modest budget, but still want all the capability, space and comfort that a compact SUV can provide, the 2011 Kia Sportage has a low entry price and an impressive list of standard features. Also, some may find its distinct looks more attractive than those of the Sportage's competitors. Overall reliable Kia for the safety of my son and family! My car has been pretty dependable except for the last few years in the summer my gear shift would not switch out of park, and it would happen only in winter. I took my car to a Kia dealership and they couldn't figure it out. So in dealt with it as eventually the car would switch out of gear- and there would be the traction control light that would come on. After this last summer I almost had it until a friend who is car savvy googled the problem and found the solution, which was a small cheap piece that went behind my brakes that was messed up causing my car to act the way it was. Now, I am happy that my car is reliable and drivable without having to worry. 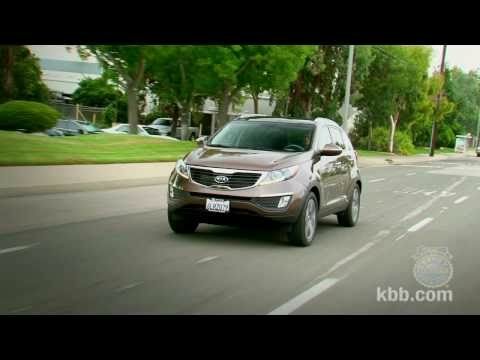 Kia Sportage 2011- reliable family car. Car is very durable. I performed well through all seasons. However during winter months the car would lose traction easily. Size matters. For my family of 4 it was a decent sized midsize SUV. Foot space for both the front and back rows are fairly spacious. Now a family of 5 we will be searching for a bigger car. Kia has always been my go to make for cars. The repairs are not done as easily as other car makes but it has always been reliable. I was attracted to this car because of how compact yet spacious it is. It sits high like a SUV but is a perfect size for someone small like me (5'2"). Whenever the brake switch is not working, the brake lights will not illuminate, reducing the ability to warn other motorists of the driver's intentions of stopping, increasing the risk of a crash. Kia will notify owners, and dealers will replace the brake light switch, free of charge. The recall began on July 7, 2015. Owners may contact Kia customer service at 1-800-333-4542. Kia's number for this recall is SC121.